Tap Titans – Games for Android 2018 – Free download. Tap Titans – Fast-paced arcade action game. 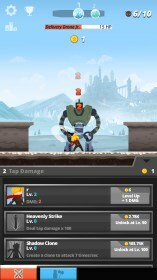 In Tap Titans for Android, you must do one thing: tap, tap, tap and tap away. 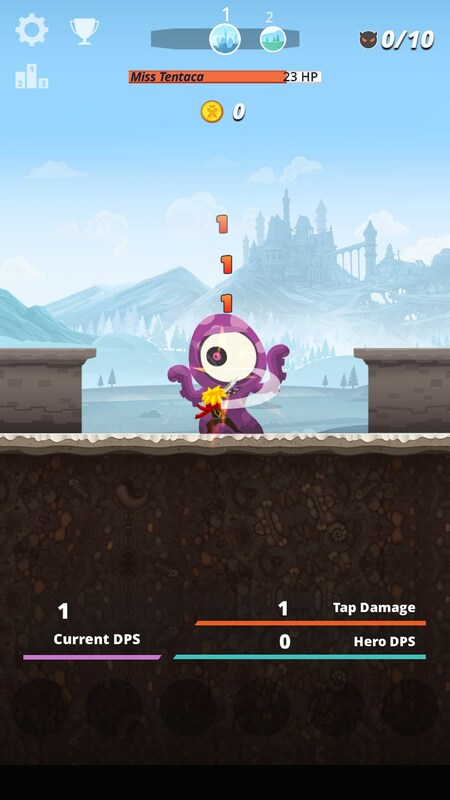 By tapping on the screen, your character will attack the titan. Each titan will have a certain amount of health, and depleting it's health by tapping on it will reward you with a gold coin. 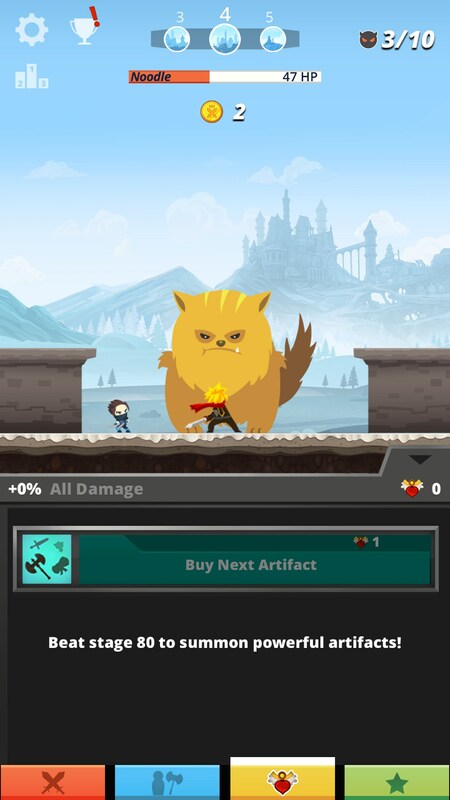 As you play for longer, you will amass more gold coins, and the titans will have more health. The coins you have earned can be spent on increased damage, better weapons and equipment, or special abilities that do damage automatically without the need to tap. 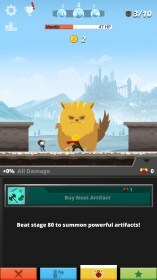 This kind of approach to gameplay is very similar to the popular Cookie Clicker game, but instead of tapping to bake cookies, you are tapping to bring down monstrous enemies, which is certainly more satisfying. The variety of different monster types keep this game fresh, and finding a new monster to fight is always quite exciting. The game itself is admittedly a little repetitive. At the end of the day, all you are doing is tapping the screen, with little to no opposition or challenge. Occasionally you will come across a boss titan that must be killed within a certain time limit, but aside from that, the game literally has no difficulty to it. The lack of challenge is okay though, because the game offers a nice, relaxing way to blow off steam at the end of a hard day, and there are constant monetary goals to work towards. 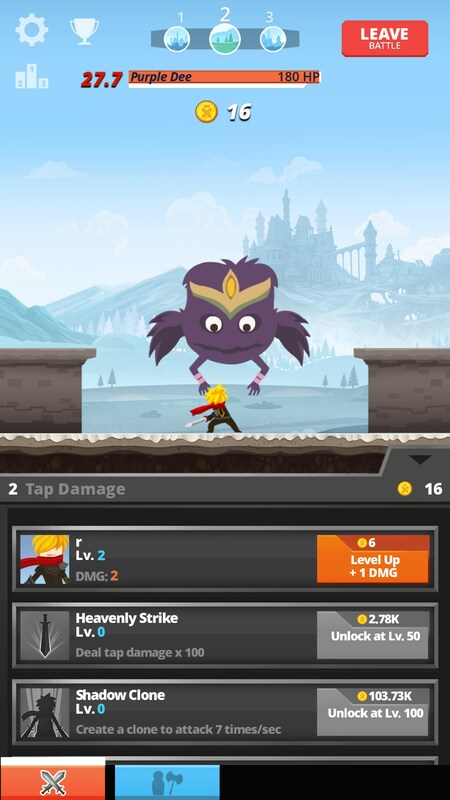 The game itself also looks quite neat, thanks to the unique character and monster art design, alongside the easy to use interface. As far as sound goes, the background music is a nice addition, and the in-game sound effects are exactly what you'd expect from a game of this caliber. 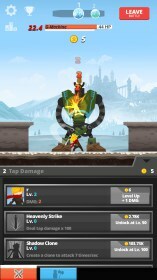 Tap Titans is free to download and play, although there are in-app purchases that allow you to acquire better items at a faster rate than usual. Insulting garbage. Thank god it's free from the play store, just don't waste any real money on it. There is NO...read "ZERO" support for this game. I've looked everywhere. Best you can hope for is possibly other players on a wikia forum. 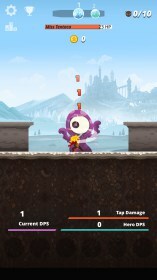 It's supposed to be an idle game, yet pretty much requires tapping to actually get much effect. The worst part is, despite having no knowledge of hacks or cracks it will regularly accuse you of cheating and refuse to give you the gold your heroes farmed since you last logged in and will restart the insanely long timers on your heroes abilities, basically making the game the worst "idle" download I've EVER seen. Unless you're one of the people who actually KNOW how to cheat on this, don't bother wasting your time. Regular folks can have a LOT more fun playing clicker heros on your PC or some other idle game. Sadly, there are some games that offer little support which may lead to some issues. Luckily the freemium method lets users invest money only if they so wish. 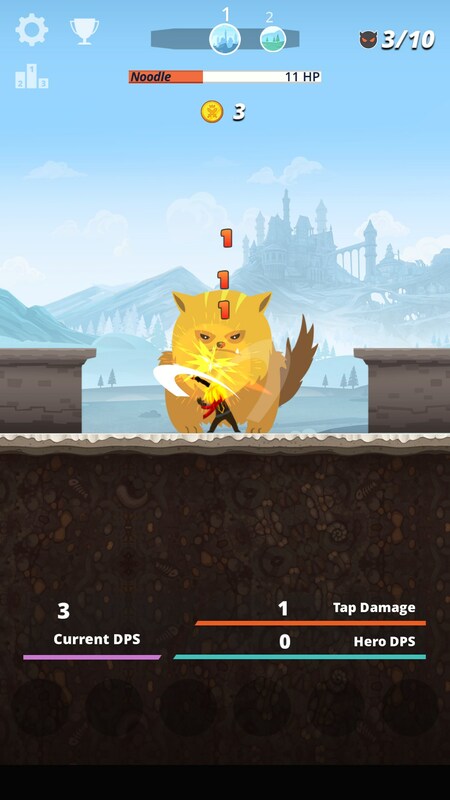 can samsung galaxy y play this game? Unfortunately I do not have this specific device in order to check myself, yet I can guide you on how to do so. On your PC please follow the "Free Version" link found above the review. On the new Google Play page, please log in with the same Google account and log in with the same account on your Android device. Afterwards click the "Install" button on the app's Google Play page. A new Pop-up window should appear allowing you to select the device you wish the app to install. This will also indicate any incompatibilities with the device. If no errors are indicated then you can proceed to start a remote installation.